Yesterday evening, the people of Thailand received some tragic news. Their beloved King Bhumibol Adulyadej just passed away, and brought the entire nation to tears. King Bhumibol is Thailand’s longest serving monarch, reigning over the country for 70 years – a journey which he started as an 18-year-old, when he ascended to the throne as Thailand’s ninth monarch. He was an influential speaker, and a respectable figure in the international scene, and many of his actions have greatly benefited his people, shaping Thailand to become what it is today. Perhaps one of his more significant contributions he gave his nation, and eventually the world, was the technique that he developed for cloud-seeding. Cloud-seeding, as its name suggests, is a method of dropping crystals into clouds to change the amount of precipitation. In layman’s terms, you can artificially make it rain when you want it to. The problem that His Highness wanted solved was in agriculture. Thai farmers would only be able to grow crops when seasonal rainfalls came, and this of course was not ideal, especially in areas where drought was common. His Highness would constantly make visits into the countryside to talk to the farmers, and also to seek ways how he could help them. The idea struck him while on his visits, when observing that the sky was full of clouds yet no rain was seen. This was the start of his interest in researching cloud seeding and rainmaking techniques. Considering the fact that His Highness used to major in science at the University of Lausanne before switching to political science in light of his ascension to the throne, his interest and adeptness was not a surprise. Using his private funds, he established the Royal Rainmaking Technology, and in 1969, the first tests were carried out using known and existing techniques already available in the world. It was only 30 years later that His Highness stumbled upon a new discovery. 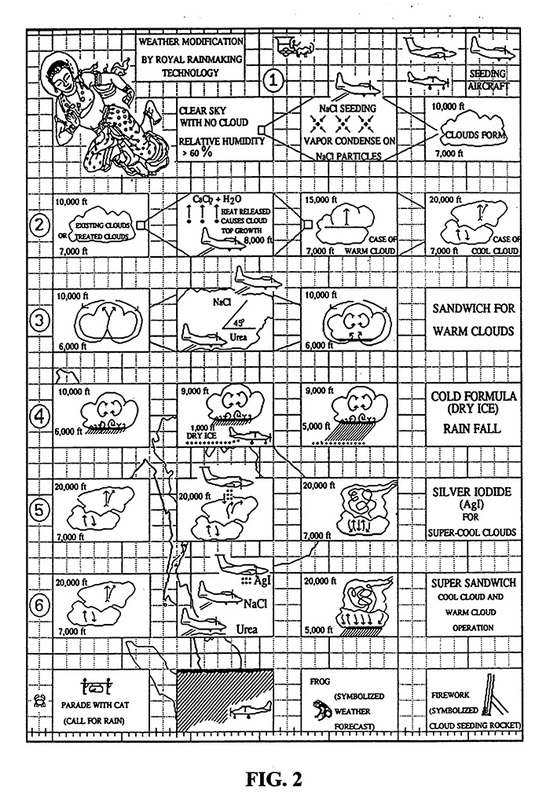 Dubbed the ‘super-sandwich’ technique, he discovered it in 1999, and it involves the use of aircraft to seed warm and cold clouds at different altitudes, causing them to make rain. He even wrote an entire pictorial book detailing the entire rainmaking process, titled “Royal Rainmaking Textbook”. His Highness’ efforts would later receive global recognition when both his Royal Rainmaking Project and Textbook received a Gold Medal with Mention at Brussels Eureka in 2001, an inter-governmental research and development organisation based in the European Union. 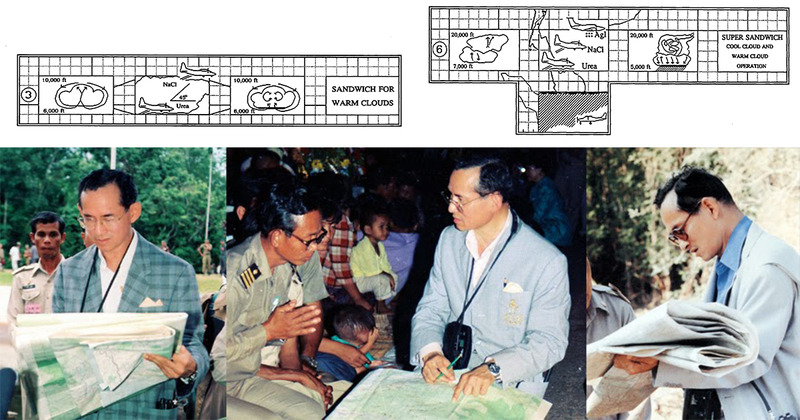 The King would later see his neighbours from the region flying into Thailand hoping to learn and understand his techniques to be used in their own countries. Nations that have acquired this knowledge includes Indonesia, Bangladesh, China, Malaysia, Philippines, Singapore, and Sri Lanka. 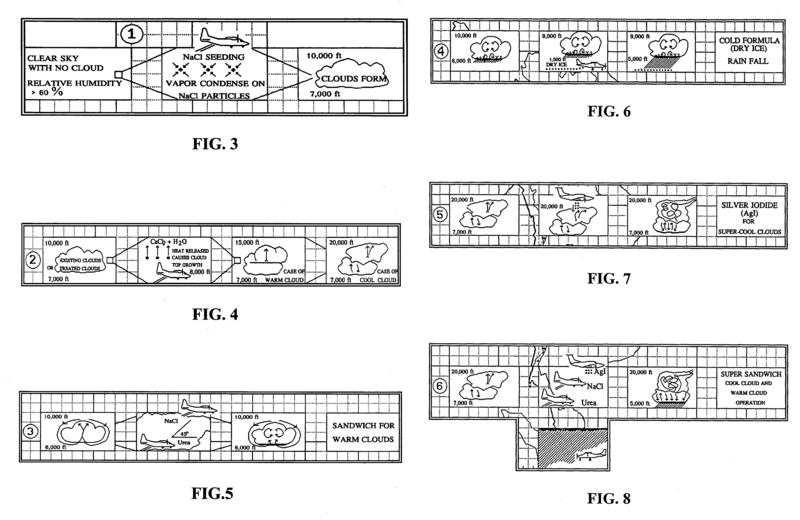 In 2003, he received a patent by the European Patent Office for his work on the “super-sandwich” cloud seeding technique which he developed during his time researching artificial rainmaking. His Highness’ patented technique also made its way all the way to Australia, where he permitted its use in 2010, when a major drought struck the state of Queensland. The Australian authorities had seek for the use of the technique due to the many climate and geology similarities of the state to that of Thailand. More recently in July this year, Jordanian authorities have sent representatives into Thailand to learnt the technique as well, citing the dire state of climate change back home. The trip to Thailand is part of a bigger plan for the middle eastern country to revitalise its lands, as they have earlier received permission from the King earlier in 2009 for use of his techniques in their country where precipitation has decreased as much as 15-60%, and temperatures rising up to 2 degrees. For the Thais, King Bhumibol Adulyadej was a greatly revered king who has been a constant pillar of support and stability for the country through turbulent times, which has seen Thailand overrun by riots, clashes, and military coups amidst political strife. 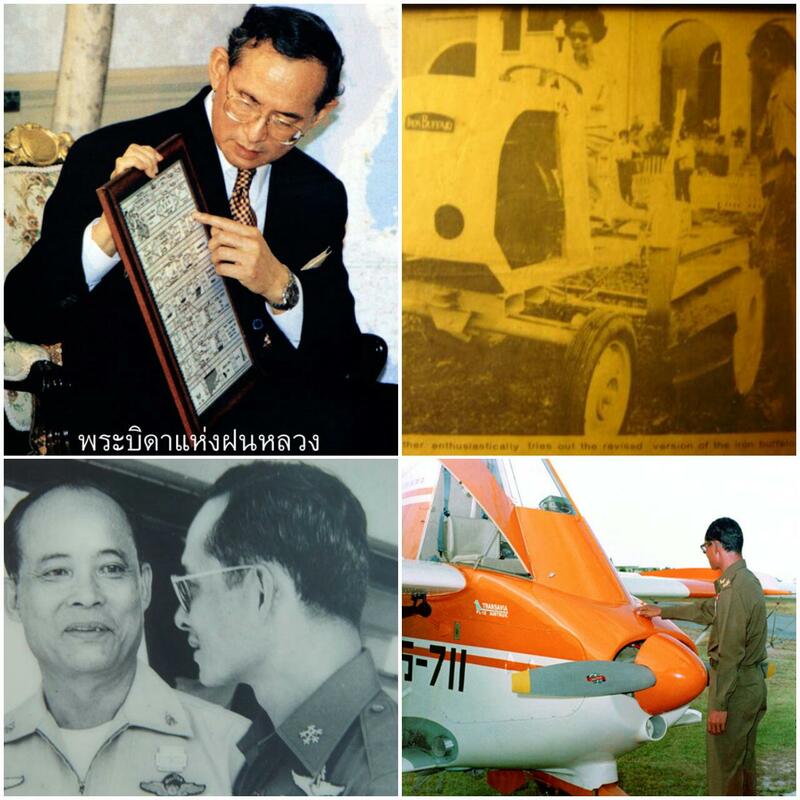 For foreigners outside looking in, the King was, who aside from political responsibilities, was someone who has helped to advance Thailand through research and innovation that has helped improve agriculture and technology. Some estimate that His Highness is the owner to over 20 patents and 19 trademarks, and these are mostly for tools and techniques developed for use in a range of rural development projects throughout Thailand. The world has truly lost another leader and inventor. 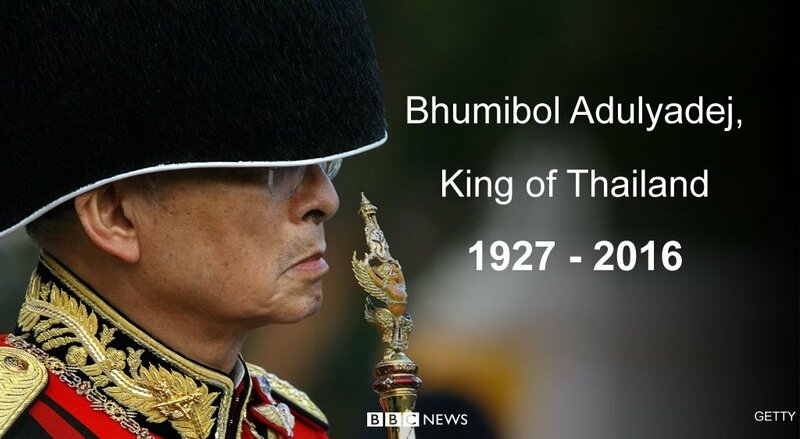 Rest in peace, King Bhumibol Adulyadej.